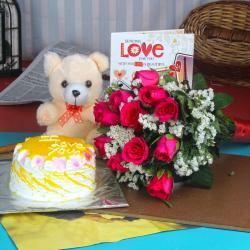 Product Consist : 12 Pink Roses Bouquet, 1 Kg Strawberry Cakes, 5 Air Filled Balloon along with Love Greeting Card. The flower is a pure and beautiful creation of Nature. 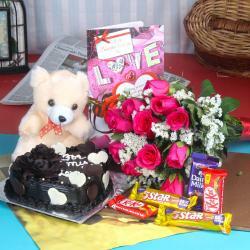 Best Nature presentable gift is Special Memories Valentine Gift Collection to our dear and near ones, because of its beauty and purity would surely express our special feelings easily as compare to words. 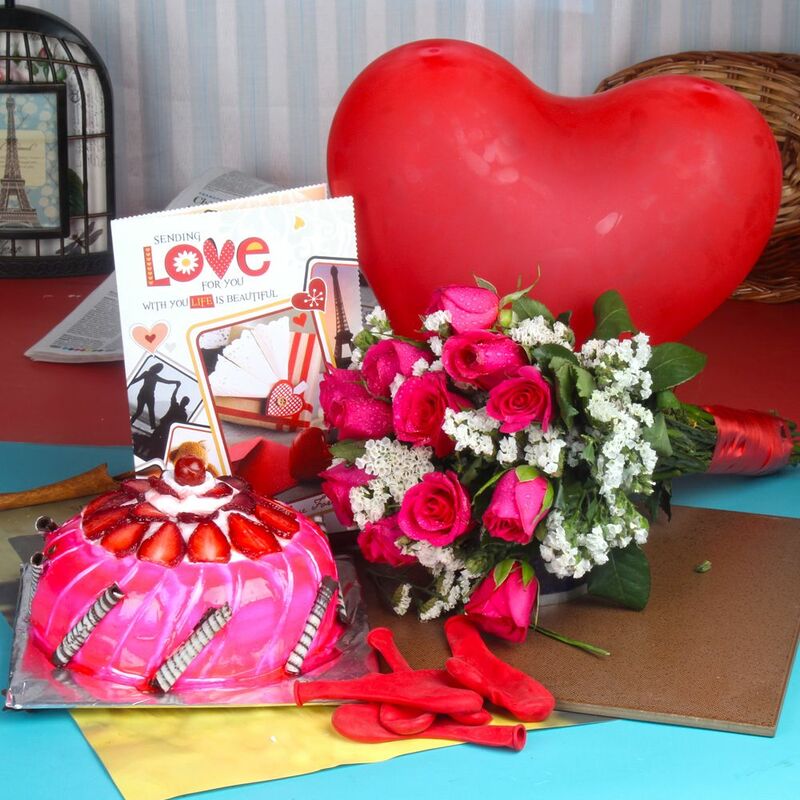 It is very hard to express love without words so tell your darling to read your eyes without seen you with this Special Memories Valentine Gift Collection gift hamper so it is a time to feel memorable moments without your presence. We may not send written messages in flowers, but a rose on Valentines Day says more than words ever could so Hurry up. 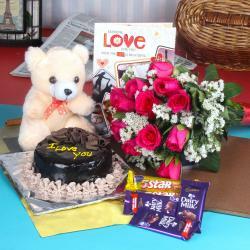 Say Happy Valentine's day and if it is your first Valentine then you are much Exited to be with your LOVE deliver this beautiful gift So he/she can be proud to be your Valentine and this gift combo should be the best bet for Valentine's Day, Birthday, Anniversary and Many more.. Giftacrossindia.com brings to you this awesome gift, which is all set to make your special someone feel more special. Browse your favorite products, it is very conveniently available for online shopping from anywhere in India with Same Day Delivery option. 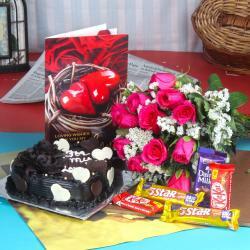 Product Includes : 12 Pink Roses Bouquet, 1 Kg Strawberry Cakes, 5 Air Filled Balloon along with Love Greeting Card.